Built in 1965, by the Martinoloch Shipbuilding Corporation of Tacoma, Washington as the Melia Foss for the Foss Maritime Company of Tacoma, Washington. In 1998, the tug was acquired by Campbell Towing Company of Wrangell, Alaska. Where she was renamed to Chatham Strait. In 2000, she was acquired by Island Tug and Barge Company of Seattle, Washington where. Where the tug was renamed as Island Wind. 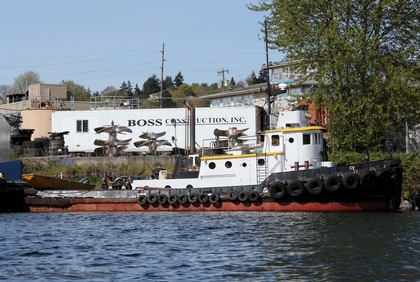 In 2012, the tug was acquired by Stephen M. Tate of Poulsbo, Washington. Where she was renamed as the Cy. She is a single screw tug, rated at 850 horsepower.